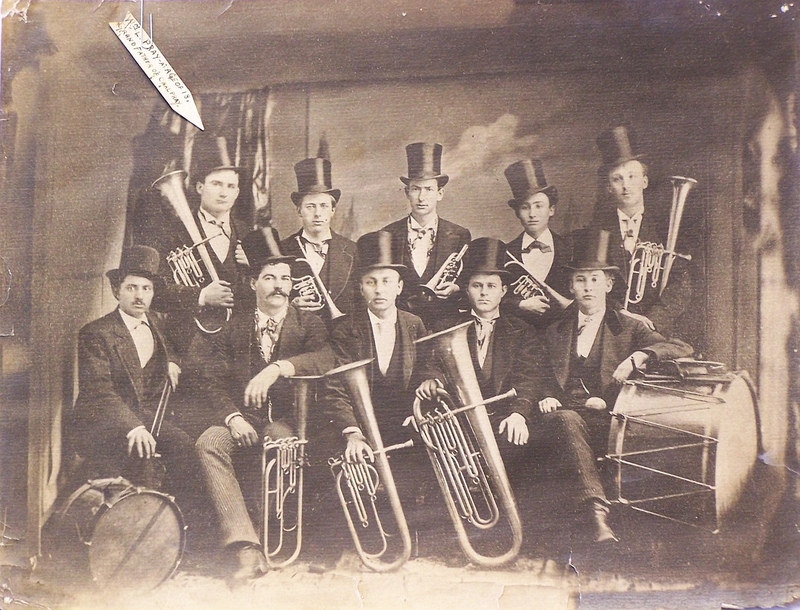 This is a very early Webster City band. 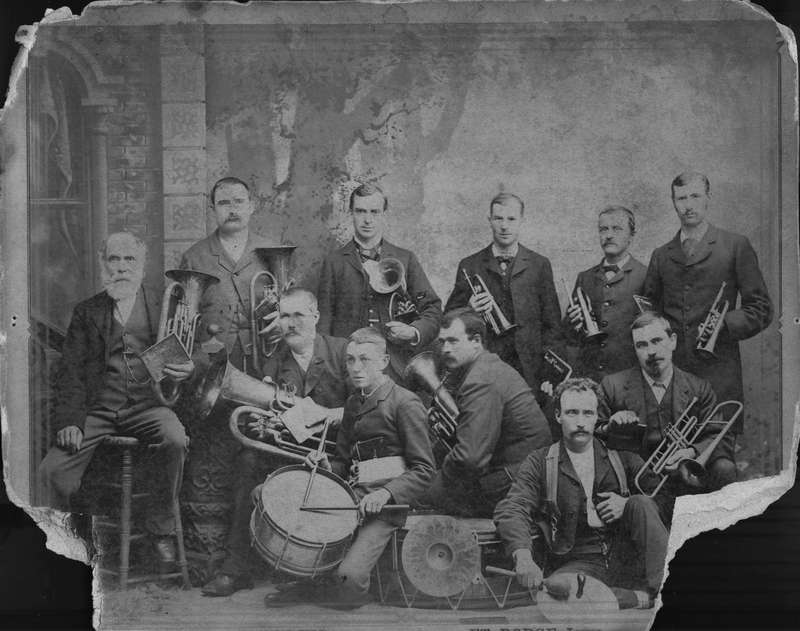 One musician performing with this group was the tenor horn player William. L. Pray who moved to Fort Dodge after he was married in 1878. He was the first of three generations of Pray men who would have an important role in the bands of Fort Dodge. His son, Lou Pray, would be a trombone player and drum major for Carl Quist and for Karl King. And finally, William Pray's grandson, Carl Pray, would be the saxophonist and equipment manager for whom Karl King would dedicate his Samson March. The band's roster included leader E.I. Birmingham, who also played cornet, Oscar Olson, Ben Wolverton, James Tremening, George Parson, William L. Pray (baritone player back left), William Von Stein, Orvall Thorson, Marshal Young, Lee Porter, and William K. Marshal. 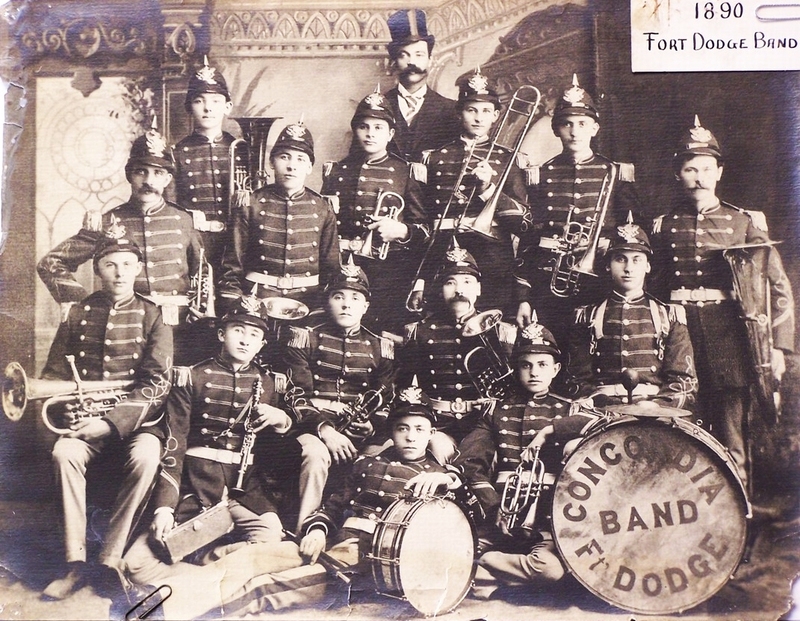 Dressed in the newest of fashion, all of Fort Dodge turned out to hear the band play all the favorite hits of that day, especially applauding the Washington Post March and the Boston Tea Party March. 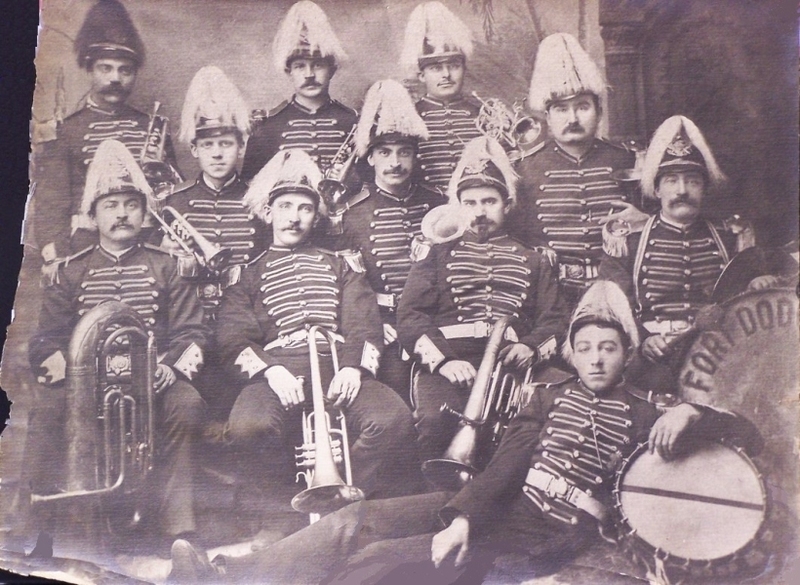 The band presented a striking appearance when on parade or at concerts. Uniforms were of bright blue, and each man wore a helmet trimmed with a genuine ostrich plume. The leader's plume was red, the others were all white. 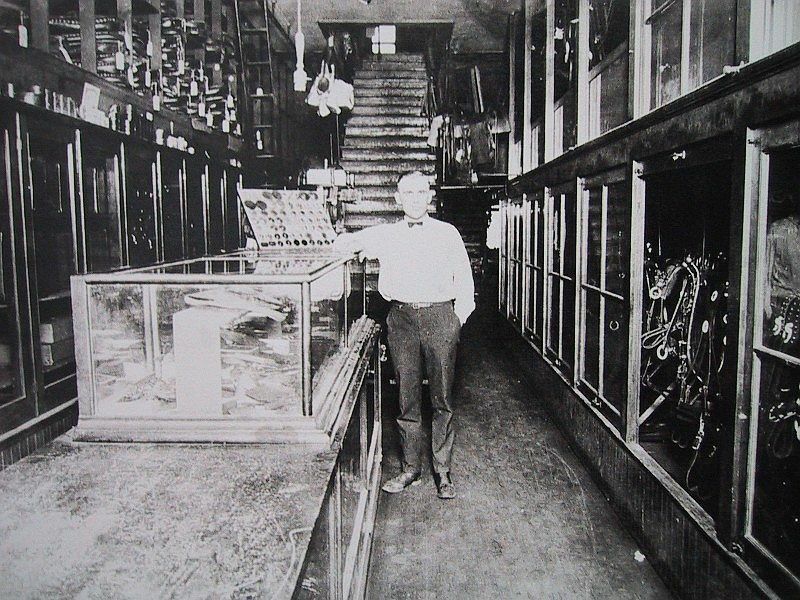 R. C. Beecher (in the second row) would someday marry and operate the harness shop which would eventually serve as a rehearsal hall for the Karl King Band when the proprietor was Mr. Beecher's son-in-law, Walt Engelbart.